Home/Solutions/Aesthetic/Simplistic way to install door closer for fire wood door. Beautiful! Why is an automatic door closer important? Fire safety is a major concern, especially for public buildings or apartment blocks where a fire started on one floor can quickly consume an entire building. Damage to property is the smallest concern where loss of life is frighteningly likely. Yet the simple act of keeping the doors closed can help keep a fire at bay, radically altering the amount of time it takes a fire and smoke to spread through a building from mere seconds and minutes to lengthier tens of minutes and even hours. it closes doors behind you, guarantees their protection and ultimately saves lives. Covered in ANSI/BHMA Standards A156.4 and A156.15, an automatically closing door is required to be in line with fire-safety regulations. Building regulations specify that in homes over two stories high, every door of a habitable room (i.e. not a bathroom) leading to a stairwell must be a fire door. Unfortunately, those regulations do not consider the pure ugliness of most auto door closing systems. When designing or refurbishing a building to be elegant and enticing, the last thing you need is an unsightly metal closer dominating the aesthetic. Plus, when using a fire-rated wooden door, many current door closing options on the market feature a level of spring force that produces a slimming effect that is both noisy and damaging – especially to any glass in door windows. 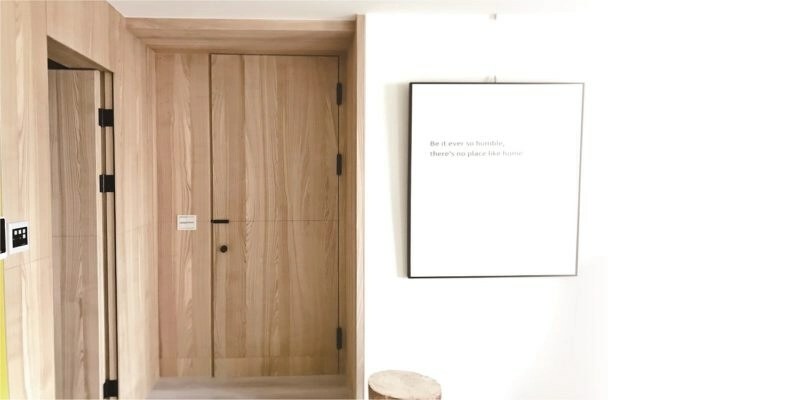 There are other technical limitations regarding the current range of traditional door closing hinges, including the need to use long bolts that can protrude through the entire door, both damaging it for any future hanging, and adding a further level of undesired unsightliness. After all, who wants to ruin a beautifully finished wooden door with its tactile attractiveness and vibrant shine by shoving two industrial metal bolts through it? While concealers provide some alternative, they are only for use on thinner doors with a maximum rating of 20 minutes of smoke protection with a shield. 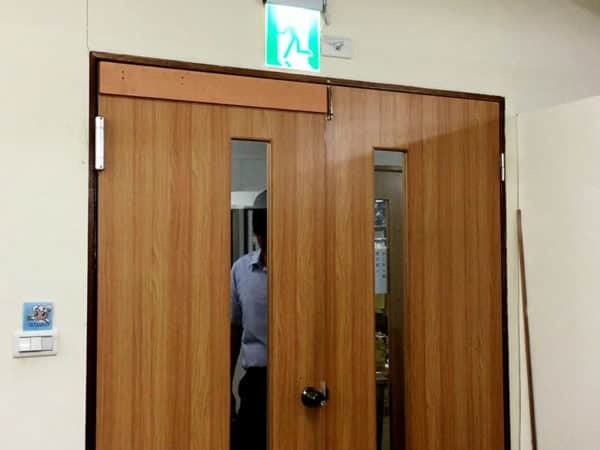 Any ¾ HR or 1 ½ HR fire-rated door is going to be too large or prohibitively expensive to properly implement a concealer – even at floor level. Enter the Waterson hinge. This exceptional product answers every concern that exists for an auto-closer for a fire-rated wooden door. The Waterson hinge is simple to fit. It replaces the existing hinges for a door and doesn’t require any additional fixtures. This low-install overhead helps save considerably on fitter times and costs. The Waterson hinge is beautiful. Removing the need for any cumbersome external hinging, the Waterson hinge secretes itself away and leaves the beauty of your door to shine. The Waterson hinge is speed controllable. With an adjustable level of hydraulic balance and mechanical spring, you can ensure the door closes in a way that most suits the environment, with a slow soft shut in the final inches to avoid any damage from slamming. The controls are easily understood too, with a clear display indicating the settings rather than the less-defined levels on any current spring system. 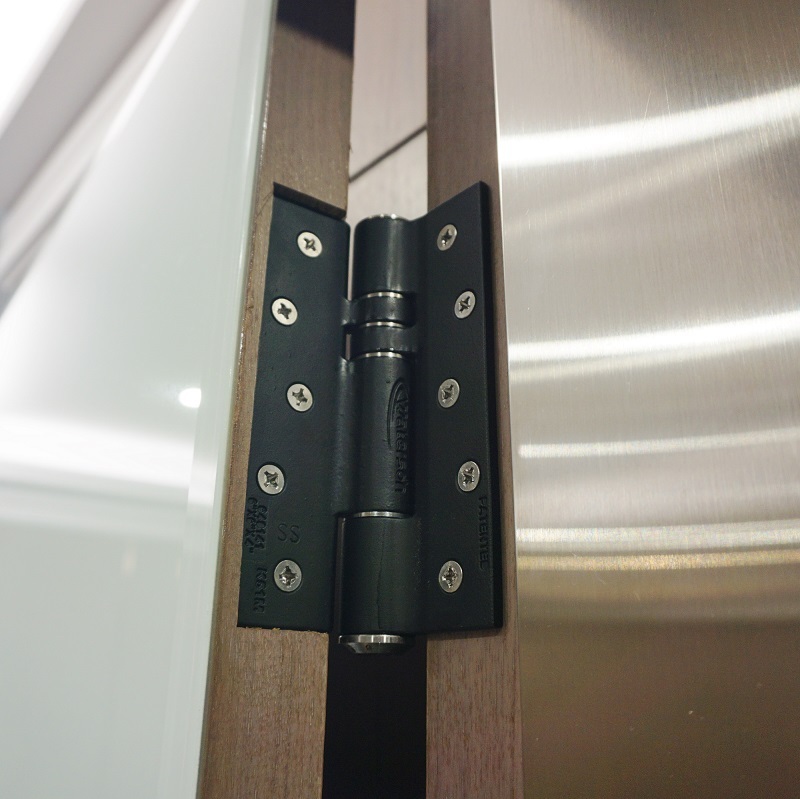 The Waterson hinge works with your door. There are no damaging fixtures, no hard impacts and never a need to drill or cut unpleasant holes in the door. If the time comes for the door to be moved and used elsewhere, it will be a matter of moments clear of undesired repair. For the perfect solution in auto-closing your fire-rated wooden door, look to the Waterson hinge. Reports of fires tearing their way through buildings that do not have proper door-closing protection are sadly all-too common. As recently as May 2018, a fire devastated an apartment building in the Bronx, left able to spread rapidly due to a lack of proper fire-regulated doorways and resulting in the deaths of five children and seven adults. 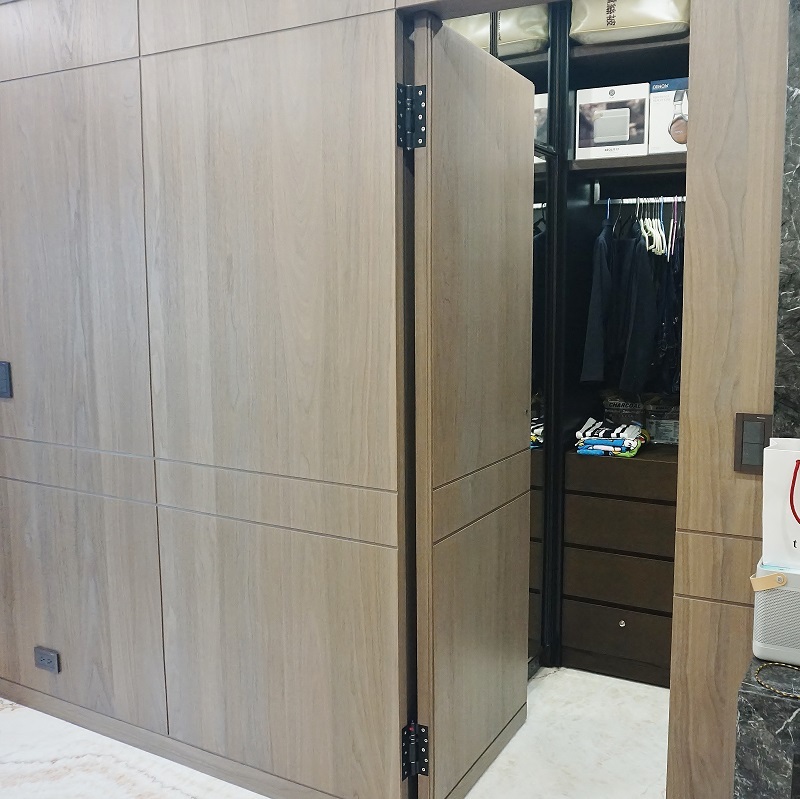 By fitting a Waterson hinge to your beautifully finished wooden doors, you provide tangible support to the safety of anyone in your property, whether they be long-time residents in an apartment block, or overnight guests in a five-star hotel. 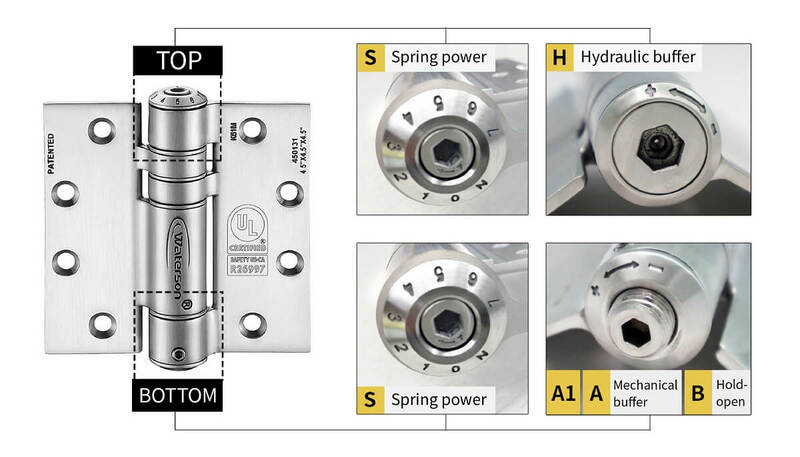 The Waterson hinge is already exciting the industry worldwide and is being installed in hundreds of buildings where aesthetic beauty meets strong levels of safety. 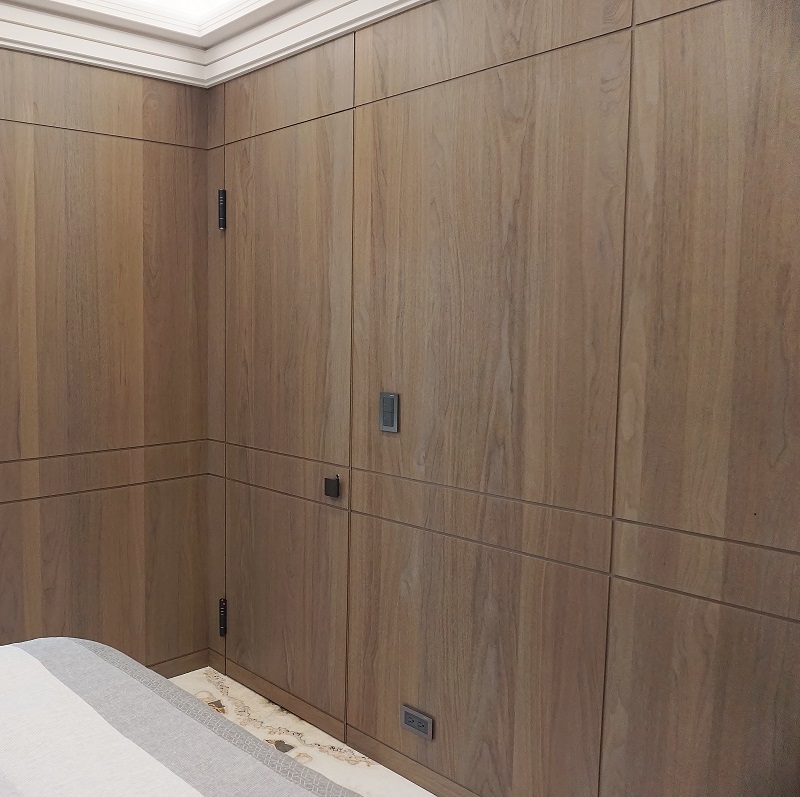 It’s easy of installation means that ten doors can be quickly converted in half a day – meaning less disruption and cost for you.